The brilliant performance given by a 5-year-old kid named Parsa Bajlavand has stunned the reputable members of the jury in a national music festival in Iran. 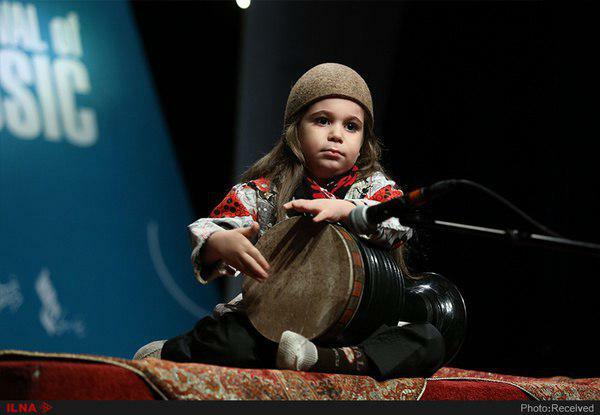 Parsa, a very talented instrumentalist from the city of Karaj, was the youngest participant who took the stage at the 12th National Youth Music Festival, which is underway in Tehran. Parsa’s mastery in playing tonbak, an Iranian percussion instrument, attracted the attention of all jury members. They took photos with him and one of the masters hugged him after listening to his performance. The 12th National Youth Music Festival will be underway until September 8 in two sections at Niavaran Cultural Centre and Rudaki Hall.